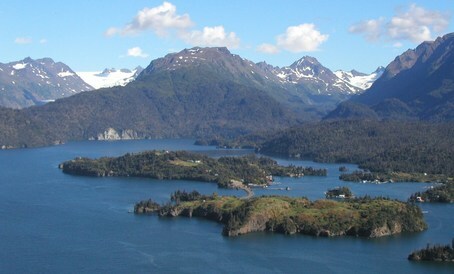 The community of Halibut Cove is comprised of hourglass-shaped Ismailof Island and the south shore of Kachemak Bay, with a protected waterway between called The Narrows. Archaeological research and artifacts found along the shoreline shows signs of a large settlement during prehistoric times. Many structures sit on pilings to escape the twice-daily tide changes averaging 20 feet every 6 hours. 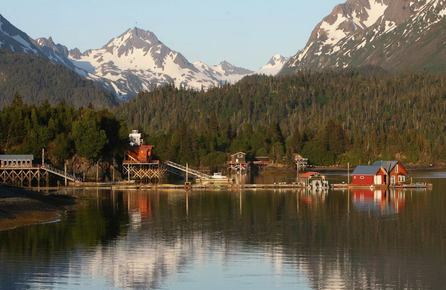 Halibut Cove is surrounded by Alaska’s first state park, Kachemak Bay State Park and Alaska's only Wilderness Park. 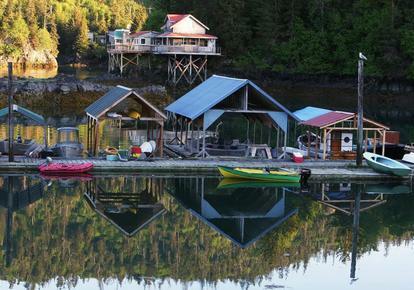 Visitors reach Halibut Cove by private boat from Homer; by the locally operated ferry, or by float plane. There is no road access and the primary modes of transportation within the cove are on foot, kayak, skiff or ATV.